Men&apos;s 100m breaststroke went to Daniel Gyurta of Hungary. 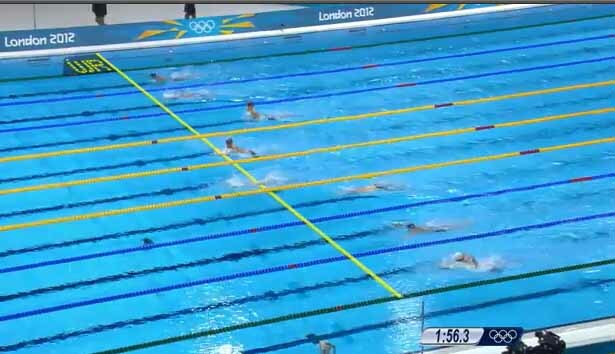 One of my favorite things is when you get to see that line go across the pool. Fun fact: when I was younger, I thought that actually existed in real life, at the pool arena. Like it was some sort of light display. To this day, I am often saddened that the audience who gets to be there doesn&apos;t have such helpful markings, despite the fact that they get to actually be there. 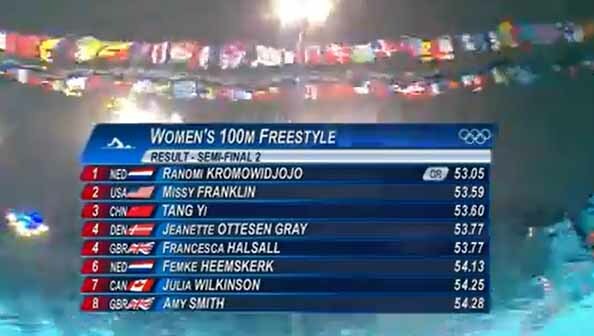 There was also another Olympic record during the women&apos;s 100m freestyle trials. Save something for the final girls! 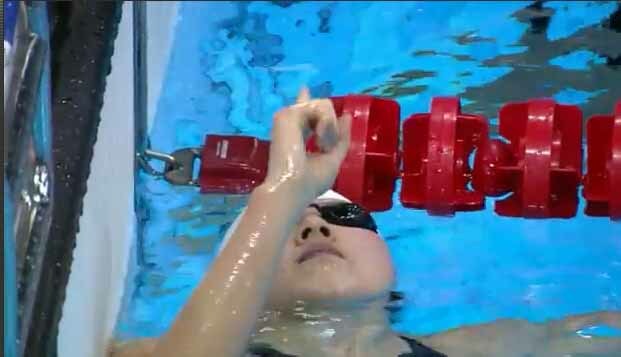 Jiao is "absolutely flying in the 200 butterfly" said the delighted commentor. All we need now is for me to make an "abreast" joke and we&apos;re in business. Fun fact: The Spanish have two medals now in swimming because Maria Belmonte Garcia got a silver. NATHAN ADRIAN! 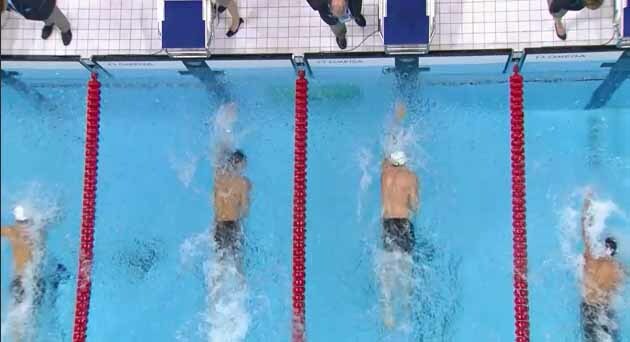 1/100 of a second is the best way to win, but a hard way to lose for James Magnussen in the men&apos;s 100m freestyle. Such a fast event but so fun. 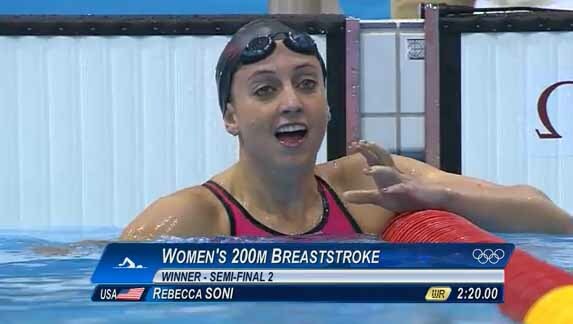 Of course, winning a world record during the semi-finals for the 200m breaststroke trials isn&apos;t bad either, as we learned with Rebecca Soni who hit 2:20:00. 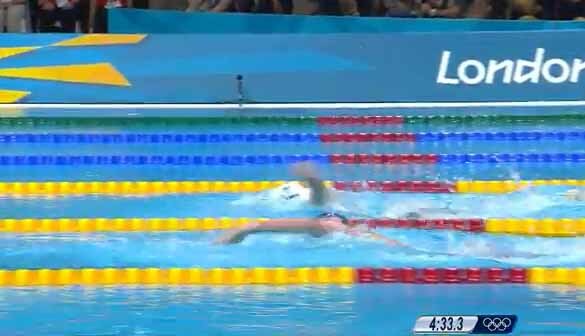 And the USA, after going neck and neck with Australia for most of the women&apos;s 4x200m freestyle, finally pulled ahead in the last stretch, breaking a new Olympic record. 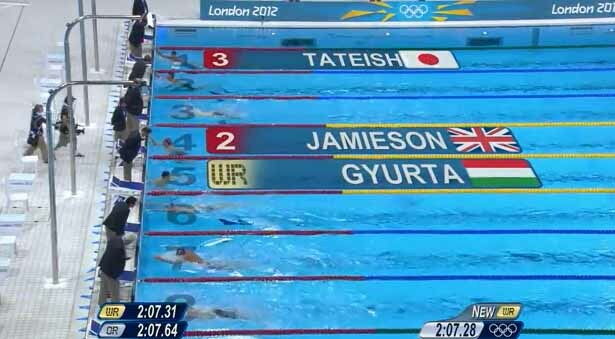 The announcer also called Alison Schmitt, who swam the final leg, "irrestible." It sounds like he speaks from experience.